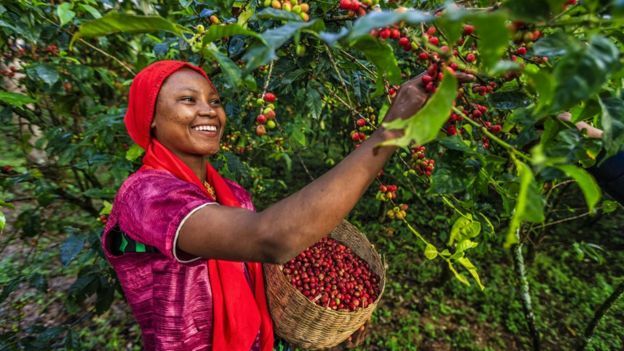 Alarmed by the impact of low coffee prices on smallholder coffee farmers, the International Coffee Organization (ICO) has taken up the challenge and is implementing actions to address some of the perennial issues. During the just concluded 124th session of the International Coffee Council in Nairobi, which brought together member governments of ICO and representatives of the Coffee community in Kenya, the multilateral organization rolled out actions that focus on advocacy and communication; the mobilization of coffee stakeholders and development partners; research, knowledge-building and transparency; and the promotion of coffee consumption. By virtue of its objective, ICO is building a strong sector-wide dialogue that engages coffee stakeholders, development partners and civil society with the objective of identifying solutions, building consensus and setting measurable commitments towards a sustainable future for coffee growers and the whole coffee sector in line with the UN sustainable Development Goals. For the coffee farmers and the whole coffee sector voices to be heard, the ICO will be holding a series of consultative events this year; of which sustainability seminar started on 25th March this year which was held in Nairobi. This will be followed by another event in partnership with the International Fund for Agriculture Development at the United Nations on April. ICO Executive Director, Mr. Jose Sette reveals that ICO has an important role as the voice of the entire world coffee sector to convey the serious situation facing coffee farmers to the outside world, including consumers, the ever-growing roasting community and the wider international community. “While pursuing this dialogue with key stakeholders, exporting members must also implement structural reforms in order to achieve efficiency and promote an enabling environment for their coffee sectors.” He added. On the other hand, Prof. Joe Kieyah, Chaiman of the Kenya Coffee Sub-sector Implementation Committee said that Kenya is one of the 44 exporting members of the ICO and one of its founding members, always actively participating and providing support. He further said that it will bring together coffee importing and exporting countries but also the private sector, academia and international organizations which seeks a unique and valuable forum for the international coffee community.